Chapter one on my skincare journey with Dermagold. If you've been reading my study exchange travelogues, you would have found out that I'm in Melbourne right now. Contrary to the rest of the world, this southern hemisphere is saying goodbye to summer and entering a very windy autumn. Melbourne is also known for her erratic weather, the ability to let you experience four seasons in a day and sudden temperature drops or rises. This makes it very annoying to prepare what to wear, and of course, what type of skincare products to use. My skin appears to be pretty alright from afar (everything looks perfect from faraway, right) especially with the use of makeup. Lo and behold, with a closer look, under all that foundation, it is actually extremely dry. I actually never realized exactly how terrible it looks until I am editing this picture... the winds are really taking a toll on my face! Dermagold sent me three of their best products after knowing the climate I am in and my skin type - one of which I headed straight for was the Miracle C+. 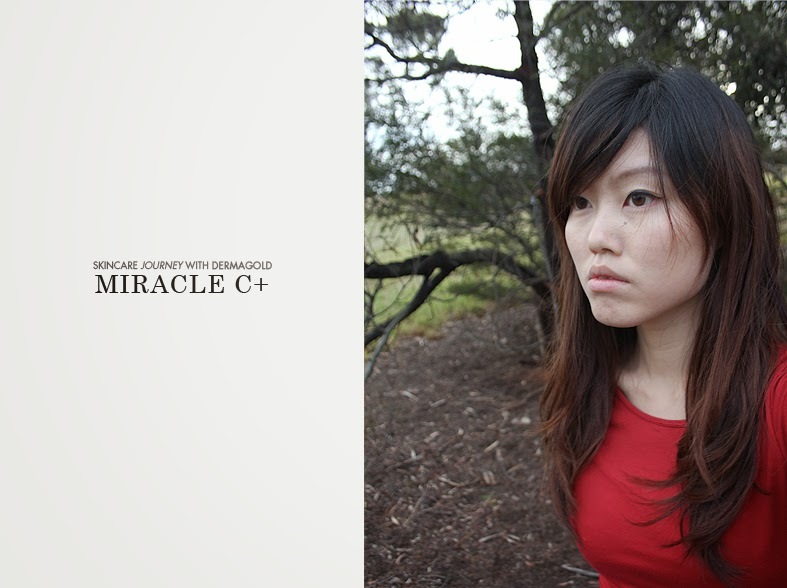 Dermagold Miracle C+ is a silky smooth high performance concentrated 18% Vitamin C Ester serum. It serves as a flexible and versatile multi-functioning product with anti-oxidant, anti-age, anti-pigment, anti-inflammatory and anti-wrinkle properties. This little powerful bottle is formulated in a base of hyaluronic acid to boost, protect and restore skin, and beyond that, it also helps to balance oil. It is very fuss-free to use and dispenses from a pump. Very lightweight and absorbs into the skin lovingly upon massage, the Dermagold Miracle C+ is to be used twice a day after cleanser and toner on the face, neck and decollete. It leaves zero sticky residue and my skin feel pumped up with moisture. 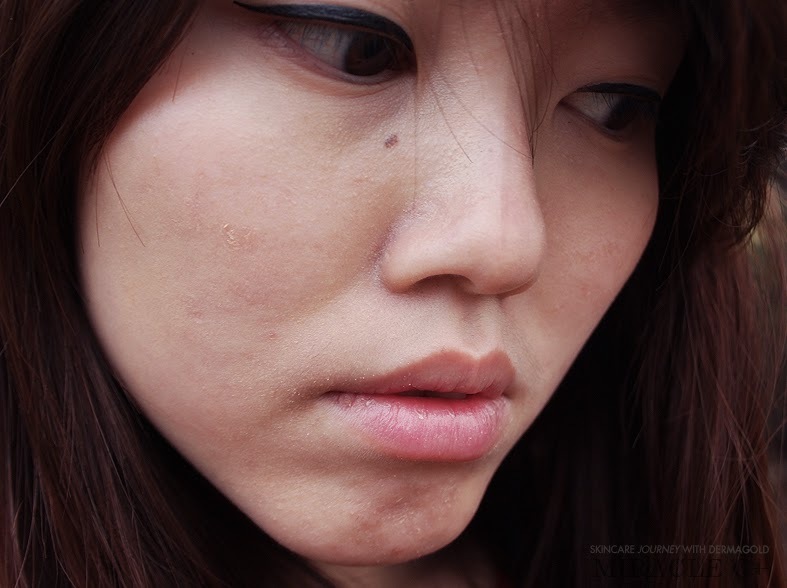 It is perfect for combination-to-dry skin like mine, with no issues of oiliness or bumps from excessive moisturizing. I am so glad that it fits beautifully with my skin combination and helps my skin maintain tip-top condition now. I have no qualms about leaving the house without any makeup on now. The Miracle C+ has also recently been crowned the Editor's Rave Face Serum from Simply Her Smart Shopper Great Skin Awards. 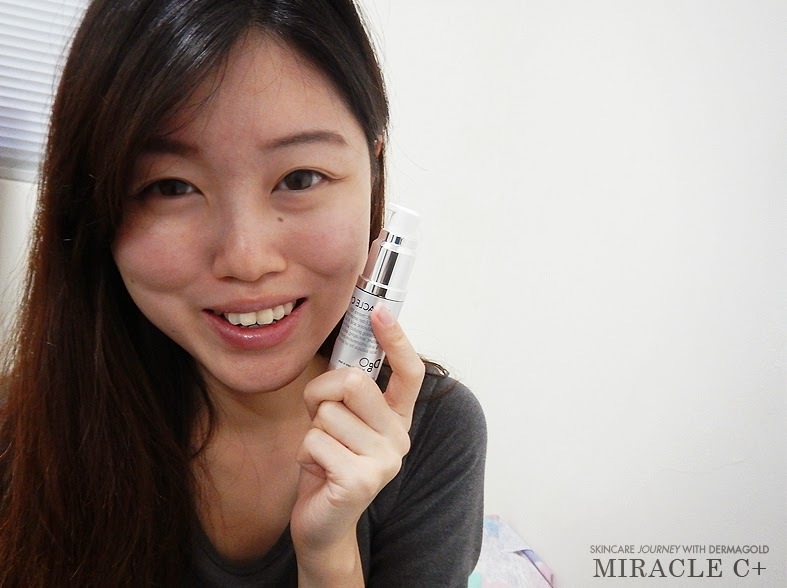 Many women have experienced a great skin revoution to achieve the ideal skin complexion with Miracle C+, it could be your turn next... with discounts for this product! 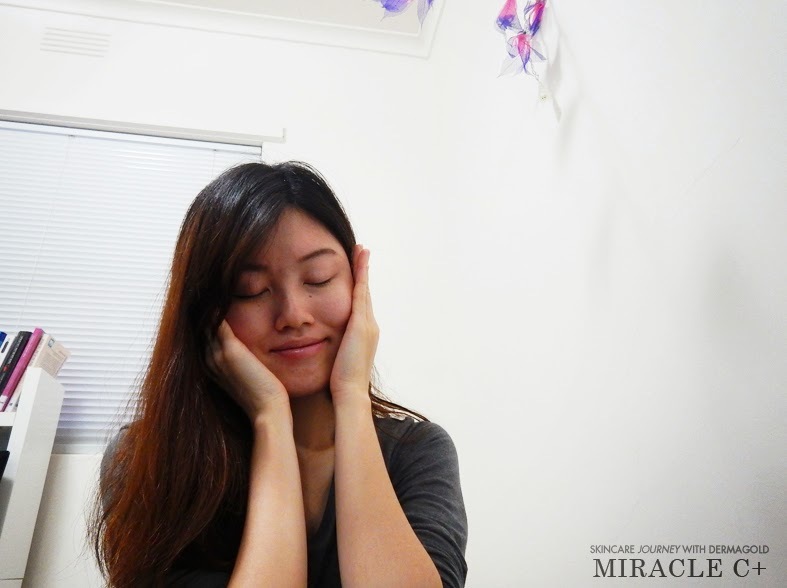 Buy Dermagold Miracle Trio (Miracle C+, Skin Elixir and Hydra Recovery Gel) to enjoy 8% off. Buy minimum 5 Dermagold products to enjoy 8% off. Dermagold is currently stocked at Hadara Aesthetics Boutique – the 1st beauty boutique in Singapore to carry Dermagold skincare and facials.